Brian Messer, Broker Associate and President of The Naumann Group’s Commercial Division has been in the North Florida/South Georgia commercial real estate business twenty plus years. 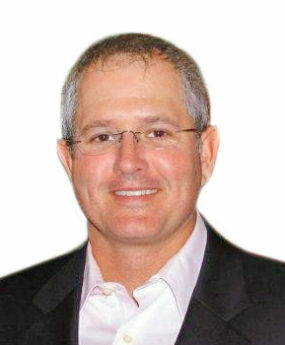 In 2011, Brian formed The Naumann Group Commercial Division, Inc. a full service commercial real estate firm specializing in commercial sales and leasing throughout Florida’s Panhandle, to assist Florida and Georgia property owners and investors in the acquisition, disposition and leasing of commercial real estate. The firm offers a unique boutique style of hands-on real estate services for all their clients. As President of The Naumann Group Commercial Division, Brian Messer currently oversees marketing for more than 50 properties. These properties consist of land, retail, office, apartment and industrial type properties. Brian holds the Certified Commercial Investment Member (CCIM) designation, claimed by less than 10% of commercial broker/ associates. Brian served as the Florida Panhandle District Chapter President from 2015-20016. The CCIM is recognized as the best in the business – an expert in the disciplines of commercial property development, brokerage, and investment analysis. Brian has an extensive background in management, brokerage, and renovation of commercial real estate. He has been responsible for successfully negotiating over $100 million in real estate transactions. A 5th generation native of Tallahassee, FL, Brian graduated from Florida State University. Before joining the Naumann Group, Brian began his career at Commercial Consultants Corporation as property manager and sales broker. In 2006, he became the Broker of Record for the company. The company was noted for expertise in management, development, and sales of retail, industrial and office buildings in Florida’s Panhandle and along the East Coast states of the US. Brian is a member of CCIM, the Florida Board of Realtors, and the Tallahassee Chamber of Commerce.